Vice President Pence said today that the Trump Administration plans to roll out its harshest sanctions yet against North Korea, as the Washington Post’s Ashley Parker and Anna Fifield report. Dive Deeper: “Only 5 Nations Can Hit Any Place on Earth With a Missile. For Now.,” an interactive developed by the New York Times with CSIS's Missile Defense Project. The United States is closer to deciding whether to impose sanctions on Venezuelan oil, U.S. Secretary of State Rex Tillerson said today, at the end of a five-nation tour of Latin America where he discussed the move with regional leaders, as Reuters’ Gabriel Stargardter reports. Dive Deeper: “Latin America’s energy reforms will be tested in upcoming elections,” by the Inter-American Dialogue. After dominating the supercomputing rankings for decades, the United States is now so far behind that the combined power of the top two machines in China easily outpaces that of all 21 supercomputers operated by the U.S. Department of Energy, the country's top supercomputing funder. But now, U.S. supercomputing researchers are striking back, as Science Magazine’s Robert F. Service reports. The amount the war in Afghanistan will cost in 2018. — Vice President Mike Pence. Last year, the CSIS Task Force on Women’s and Family Health aimed to chart a new vision for U.S. global health leadership. 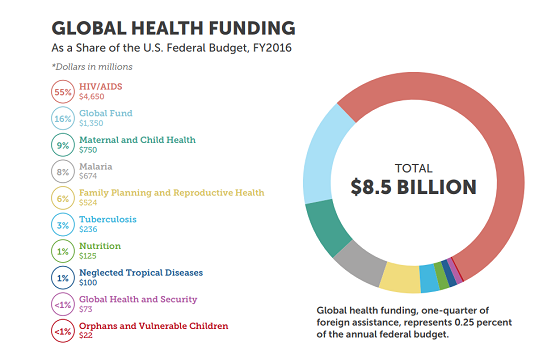 This graph shows how much the United States spent on global health last year. (Photo Credit: HAMZA AL-AJWEH/AFP/Getty Images). 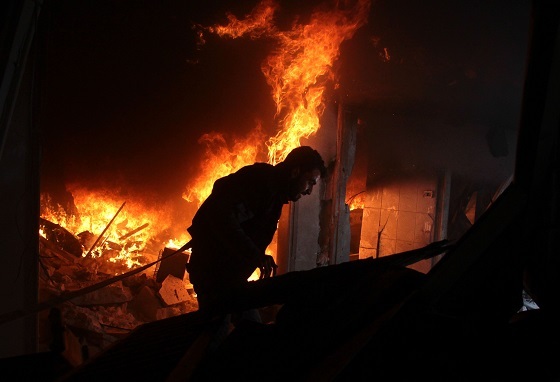 A Syrian man searches for people in a fire following regime air strikes on the rebel-held besieged town of Douma today on the outskirts of Damascus. “The Education of Kim Jong-Un ,” by Brookings’ Jung H. Pak. at 9:00 a.m. for a discussion on Moscow’s cyber operations. And, at 6:00 p.m., join the Elliott School of International Affairs for a discussion on parallel, overlapping globalization processes. CSIS’s Global Leaders Forum hosted Timo Soini, Minister for Foreign Affairs of Finland, for a discussion on the Arctic region. The latest episode of the CSIS Podcast looks at the upcoming Winter Olympics in Pyeongchang, the siginificance of the show of unity between North and South, and what to watch for in the weeks ahead. Just one more track from Wilco’s 1996 masterpiece, “Being There.” And this one is even in the Winter Olympic spirit.